June 6th - Club Night - Race Night. Another opportunity for members to choose and support a horse. We ran eight races and the evening provided a lot of sometimes noisy fun with very vocal support, by the members, for their chosen horse. We will almost certainly run another race night next year. 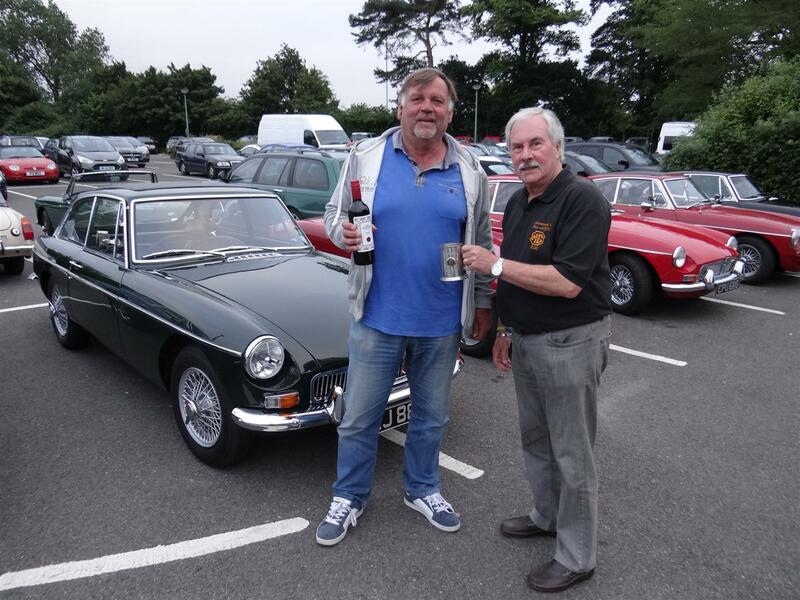 June 18th – Simply Classics & Sports cars at Beaulieu – Club Stand. Another opportunity to visit Beaulieu at a much reduced admission. As an exhibitor you receive half price entry with complete access to all of the attractions. We erected our event shelter and many members gathered underneath it with tables and chairs in evidence ready for an alfresco lunch. The selection of cars on show was very interesting with many of the vehicles being seen for the first time. This event has now become a firm favourite in the 1020 calendar and I look forward to next year. July 4th – Club Night – Pride of Ownership. Our first event of this type and the response from members was extremely encouraging. We had a reserved area of the car park for us to display our cars and we had to expand beyond that area. 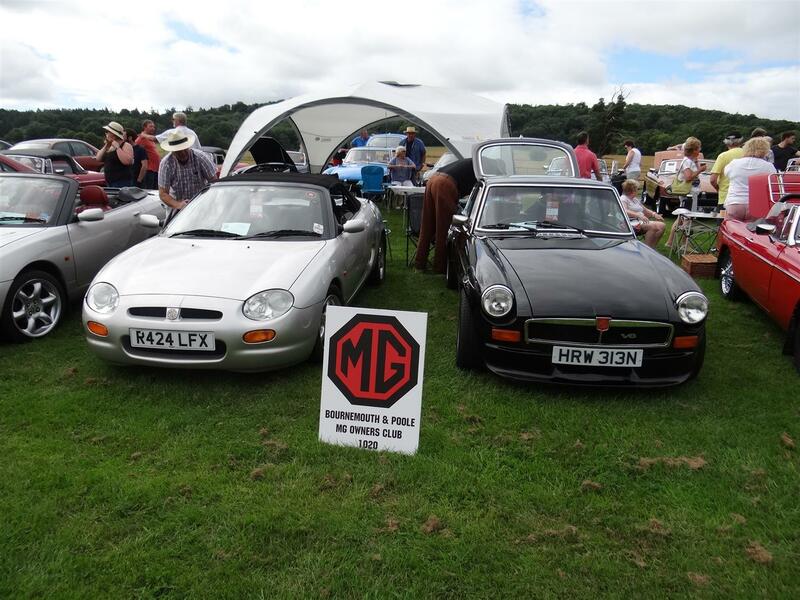 Members were asked to vote for the car ‘They would Most Like to Take Home’ – the winner with most votes was Colin Sexton for his Connaught Green MGB GT. Colin received a tankard which will be engraved for him, held for one year and then competed for again in subsequent years. 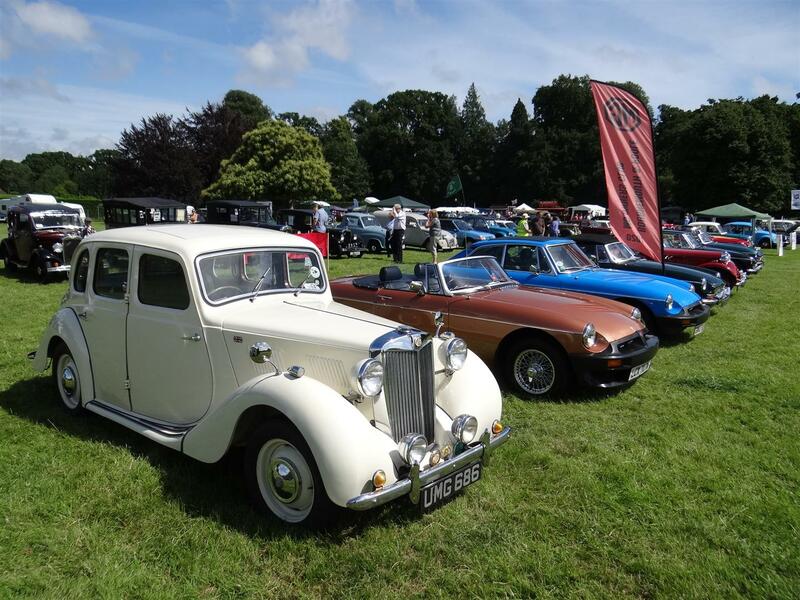 July 10th – Morris Minors – Classics in the Forest at Burley Park. 1020 received an invitation to join with the Morris Minor club at Burley Park and a group of members attended setting up a club stand. Although the weather started not too well it improved later and an enjoyable day was had by all. We thank the Morris Minors for their invitation to a very good venue. July 17th – Classics & Supercars at Sherborne Castle – Club Stand. We had a large stand at this show, space for 24 cars and our event shelter; we were joined by two non-members who helped swell our numbers. This show has gone from strength to strength over the years and next year they are looking at around 2,000 car exhibiting. The choice of exhibits ran from the usual club stands to pure exotica including McLaren, Aston Martin, a wide range of Supercars and the Tesla car, arguably the best electric car in the world. The show ground was enormous and the overflow exhibitor car park was larger than some of the car shows that I have attended. There was however a downside, the entrance to the show was too limited to accept the influx of cars and some of our members queued for 45 minutes. We have heard that next year the organisers hope to open up an additional entry gate.